I am not gonna lie, I am one indecisive person. 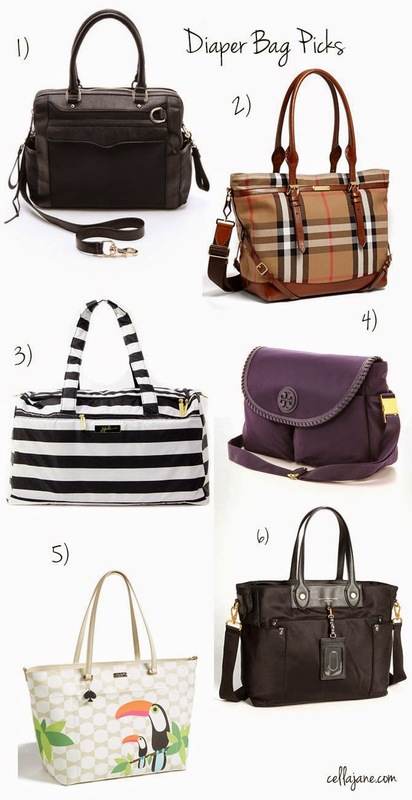 So when it came to selecting a diaper bag, this took me quite awhile. I shopped high and low and these were some of my top picks. I ended up going with the Rebecca Minkoff “Knocked Up” Diaper bag (item #1) and I love it. I wanted something that Michael would feel comfortable toting around and this one was most gender friendly. I have been on the hunt for a good diaper bag! I love your picks! The striped one is my favorite! I love the Rebecca Minkoff one!